My kids love the camels all through their years visiting SAAM. 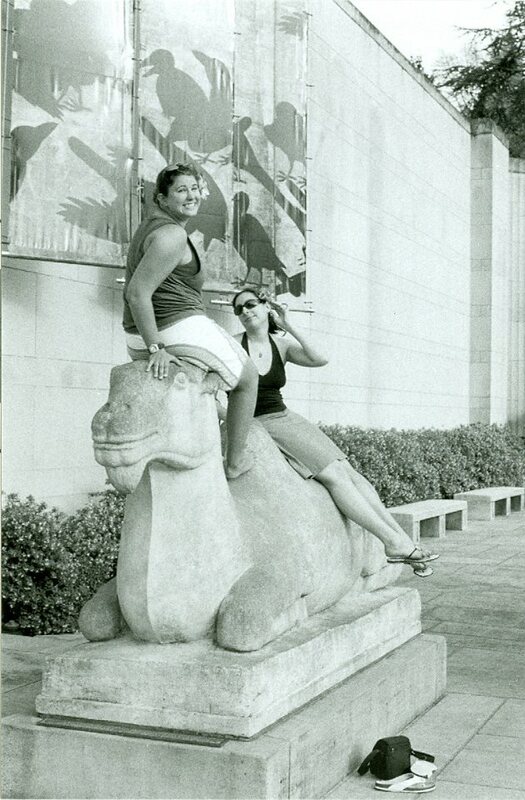 This was taken at least 15 years ago, when I took a friend visiting from England (backwards on camel) to the museum. I grew up going to Volunteer Park with my family so it always holds good memories. 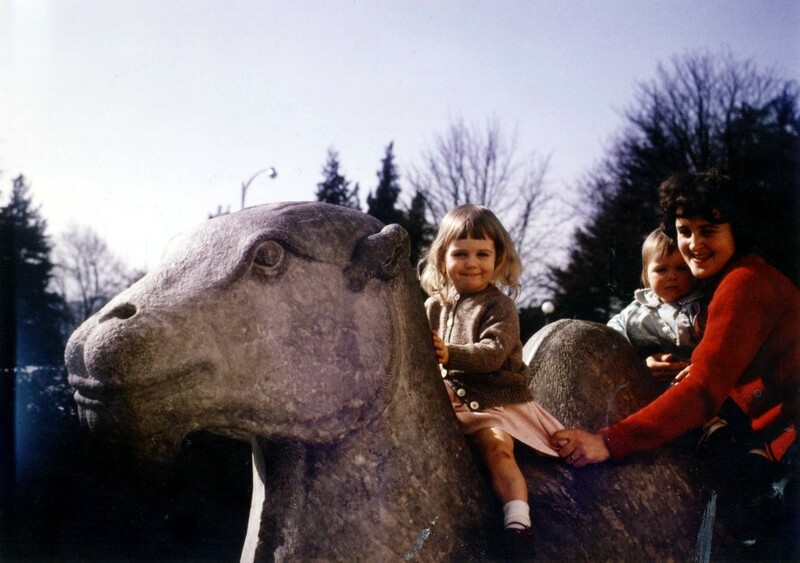 My daughters, Odette and Giselle were introduced to ART at an early age and we visited Volunteer Park and the museum quite often. 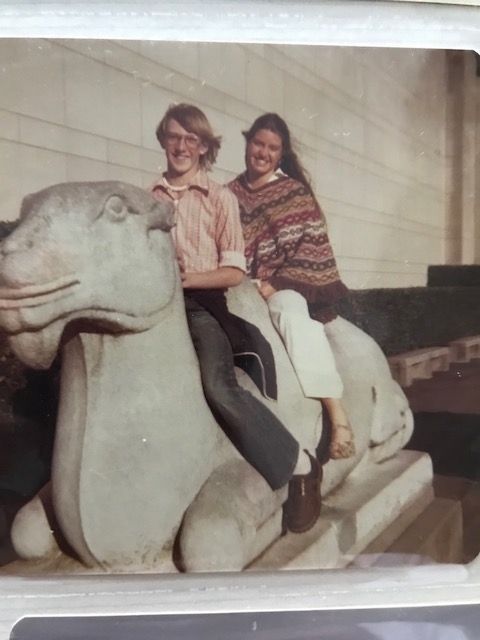 Photos of the girls on a camel from 1964 and 1968 bring back fond memories. 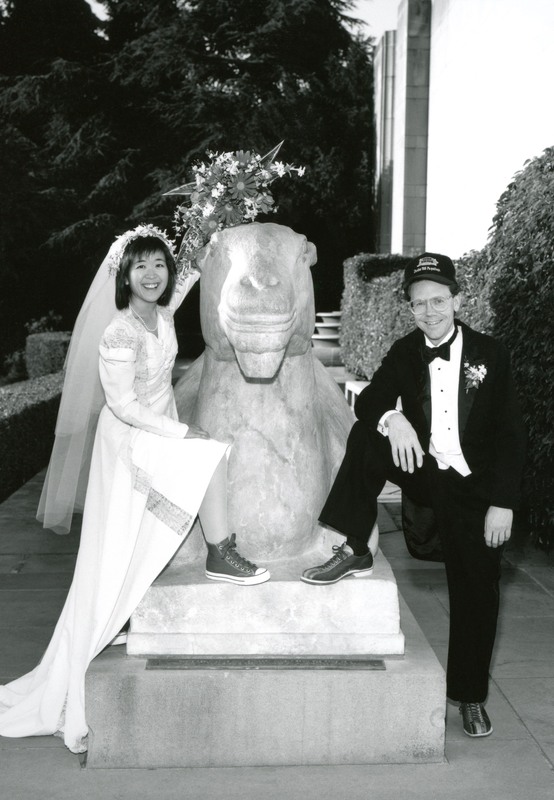 15 years ago today I had my wedding at the Asian Art Museum. From childhood to adulthood the museum and the camels will forever hold a special place in my heart. Me, my girlfriends and two sisters. 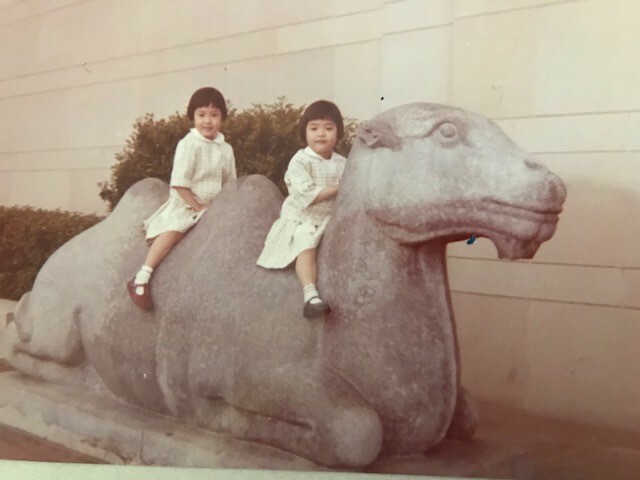 1981: I’ve been visiting the museum (and the camels) since I was a child. This was my son Adam’s first camel ride. 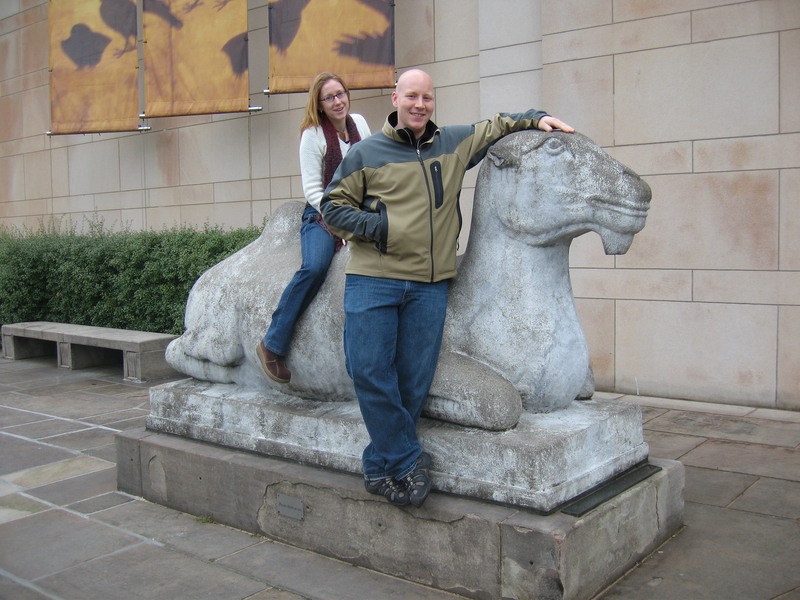 2012: I’ve been visiting the museum (and the camels) since I was a child. Here I am with my son Adam. 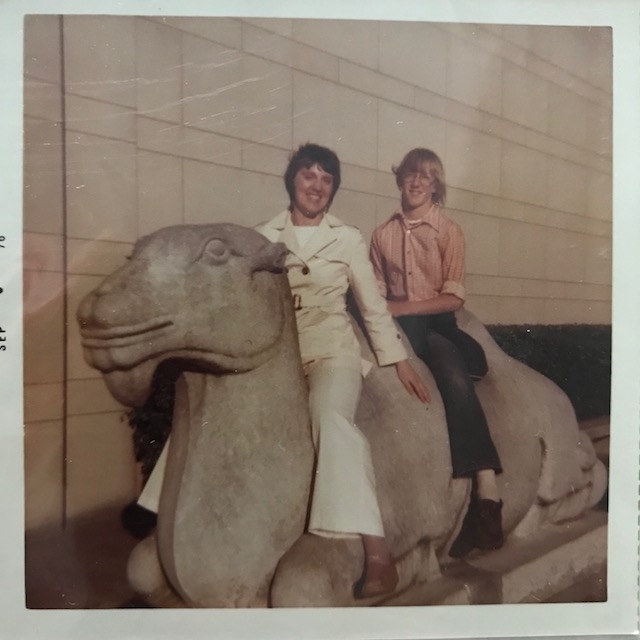 Giddy-up at Seattle Asian Art Museum: Paul, Leslie and Marian Schwartz take their first camel ride in 1976. 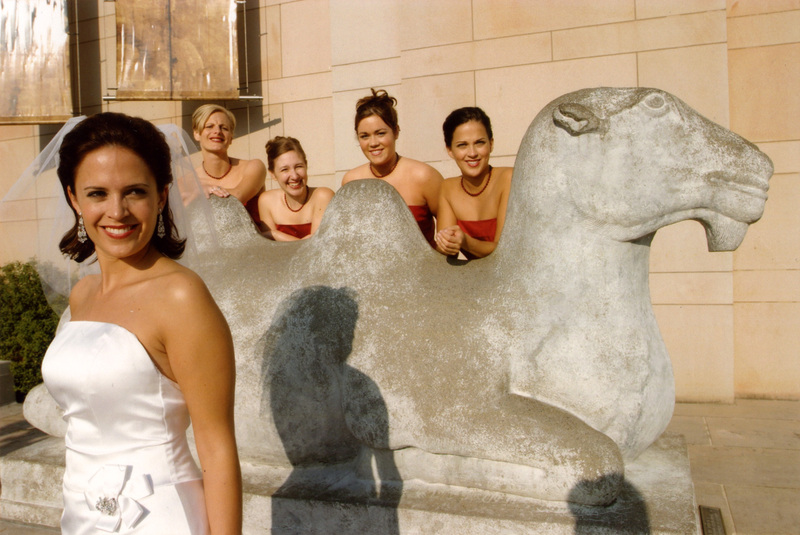 Are our camels in your family photo albums? Upload photos of you and your loved ones with the Chinese camels and we'll share them through our digital album and other marketing materials. The symbolic guardians of the museum will continue to protect the cherished home of our Asian art collection as we renovate and expand in order to inspire visitors for generations to come. Only persons 18 years and older may submit their photo. By selecting the "submit" button below, you certify that you created the photo or own all rights to the photo, and you permit SAM to use—in perpetuity and without compensation—your photo (and any derivatives we create) and the image, name, and likeness of all photo subjects, in any format and media and including social media networks, for educational, archival, marketing, and promotional purposes. If any of the photo subjects appear to be under the age of 18, we will contact you via email to confirm parental consent. Your email will not be used for any other purpose.